Air Force Falcons Replica Full Size Helmet by Schutt | Sports Memorabilia! 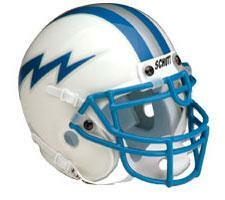 Air Force Falcons Replica Full Size Helmet by Schutt. These helmets are a model of the authentic helmets. Each helmet comes with team decal, steel facemask and is the same size as the authentic helmets.